For some patients PRP treatments may qualify for financing. Use your own body’s healing power, increase stem cell and collagen production in the face, neck, hands and joints with PRP treatments at Clear Sky Medical. PRP technology is also used for hair restoration and joint pain relief. PRP treatments are also known as the “Vampire” lift because the process uses a sample of your own blood. PRP is made from a small sample (about 1.5 oz) of your own blood . The process concentrates the platelets found in the sample. These concentrate platelets contain huge reservoirs of growth factors. Growth factors are natural components of your body. Clinical data has shown that growth factors may enhance and accelerate your body’s normal healing process. Normally when we get a wound, blood brings components in the platelets called PDGF to start the repair process which involves collagen and tightening the wound and skin. In PRP we use platelets from the patients blood containing PDGF and other growth factors to help repair collagen. The use of PRP varies from procedure to procedure. PRP is generally applied to the repair site topically. It can be applied to bone and soft tissue repair sites to accelerate tissue regeneration. Clinical studies have shown that application of PRP can help reduce bleeding, minimize pain, reduce infection rates, and optimize overall healing. PRP delivers the optimal concentration of platelets to promote accelerated healing. We use the natural and high concentration of growth factors from your own blood. Although synthetic products are available, these products typically contain only a single growth factor. PRP has been clinically used for over a decade. 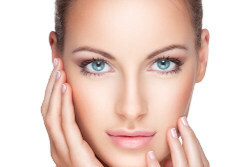 Leading clinicians in specialties such as Dental, Orthopedics, and reconstructive Surgery routinely use PRP to deliver a cocktail of natural, bioactive growth factors. Because PRP is made from your own blood., it is insulated against the risk of disease transmission and inflammatory immune responses. PRP is made point of care at Clear Sky Medical at the time of treatment and under the physician’s control. Preparation of PRP is a simple procedure that can be performed in an office or outpatient setting. The clinician draws a small volume of your blood at the time of treatment. The blood is placed in a specialized centrifuge that spins and automatically separates the red blood cells from the plasma. The plasma is then further centrifuged to concentrate the autologous plates and hence your natural growth factors. The PRP is then available for your clinician to use as needed. The entire process takes less than 15 minutes and adds no extra time to the procedure.